As you know, I'm totally in love with my ghd air (review here), so pretty much sorted for all my blow-drying needs, other than when I travel. I'm going to Vegas in September (yay!) and want to save as much space and weight in my suitcase as possible for the mahoosive haul I'm planning on doing while I'm there. Plus, I tend to travel a bit for work a few times per year, and like to take as small a bag as possible due to having to lug it about with me, so I need a nice small and light-weight travel hair dryer for these jet-set occasions. 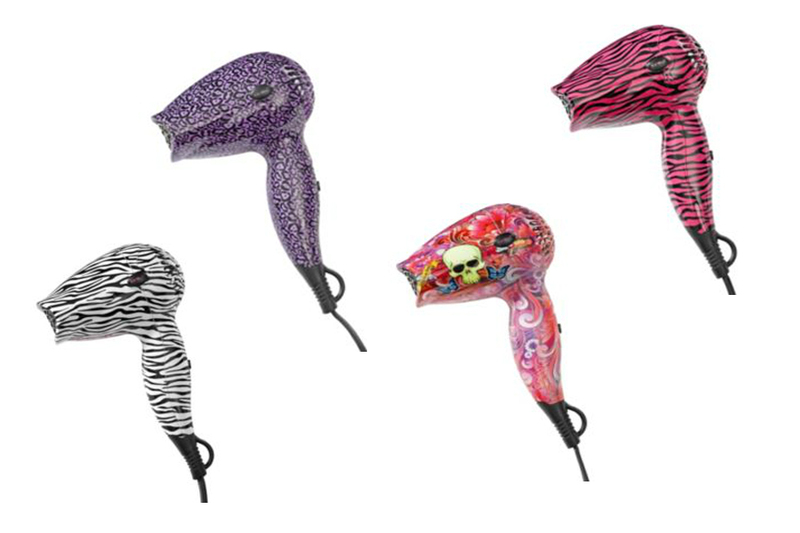 I was having a little nosey on the Argos website and came across this rather cute little munchkin hair dryer range, and they're quite a bargain too as they're on a half price offer and are just £9.99 each.